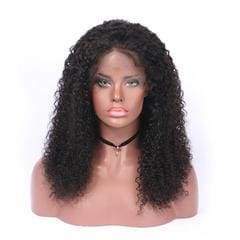 A True Assessment of The Afsister Wig. We always think from the customer's point of view. So we did our best to give them the best wigs. We try our best to do better in every link, such as the packaging of products and the quality of products. Although we cannot say that our product is No1, I dare to say that our product is the most cost-effective. The following is a true evaluation of one of our customers. Actually came in a very cute package I was like so shook. The wig was protected by this little mesh right here that was like all over the week. Also the we were protected by this bubble right which I think is very quiet really very considered because they are try to protect the bias our goods. It is a 150% density but actually when I does receive the hair when I looked at it I was like it. Wow this is really nice a because most of the hay that I usually buy for myself. It looks very likely deprived very hungry. It hardly drops its hair. Is it absolutely honest. The texture is really soft what I do now when I wanna test is a week is good quality here. I just run through it like this. And they have a choice of size, which is very convenient for us. Girls, we try our best to provide you with the best service. Answer any questions about hair for you. Please give us a chance to get to know each other better.